In the past week there have been a number of statements out of China, related to the challenge of China securing sustainable Iron Ore supply into the future. These statements have been picked up by a number of international press outlets, however, each statement has been reported as a standalone piece of policy, or action, not a concerted or strategic positioning by China and the collective entities of the Chinese Steel Mills to increase their relative power in Iron Ore price negotiations. 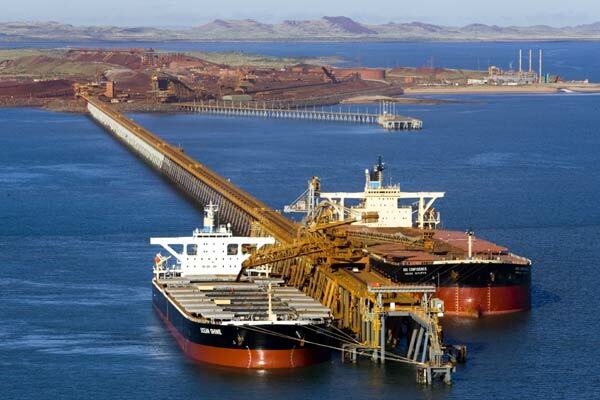 I argued two weeks ago in my article “Iron Ore: It’s about the Balance of Power” https://nathanhgray.wordpress.com/2010/04/07/iron-ore-its-about-the-balance-of-power/ that the negotiation power was moving towards the Big Three major Iron Ore suppliers in Vale, Rio Tinto, and BHP Billiton, and that this was how they were able to push a majority of Steel mills to accept a move to short-term Iron Ore Pricing. The important thing to understand with this move to short-term pricing, is that Most does not equal all steel mills. We can assume, that although Some Chinese Steel mills have accepted this move to short-term pricing (at least in the immediate future), the majority are still holding out hope that there will be a return or continuation of the year long benchmark pricing system. So how are these Chinese Steel mills going to get the big Iron Ore suppliers back to the negotiating table? The first step has been an ongoing process by the Chinese Government, and Chinese Steel industry as a whole. This has been through investment in iron ore mining facilities around the world, to try to secure a supply of iron ore independent of the big three largest suppliers. Where has this focus been? 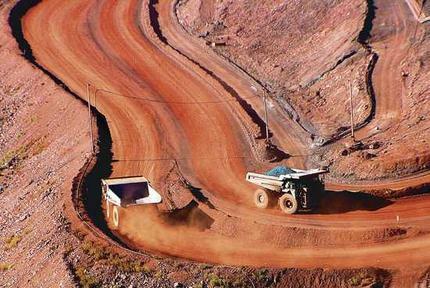 China has been investing heavily in Iron Ore mining exploration in Africa for example through Chinalco, and this has been in a number of joint venture operations with companies such as Rio Tinto in the Simandou Project in Guinea. Now you might point out that, Rio is one of the big three? But it is also the most financially leveraged of the three and keen for Chinese Cash. 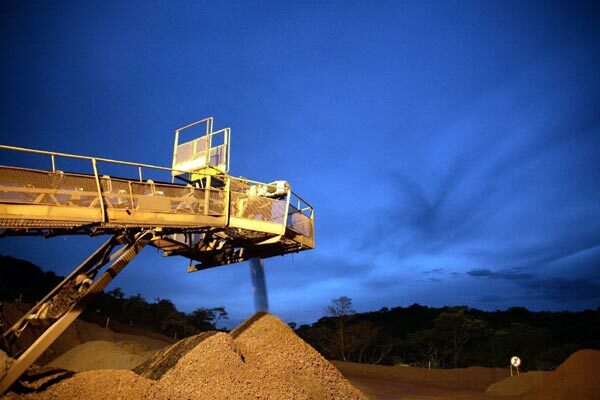 Joint venture investment in mines like Simandou helps improve Rio’s bottom line, while also giving China, Chinalco and the Chinese Steel Mills a useful bargaining chip. Clearly if Chinese Steel Mills can secure independent or guaranteed Iron Ore supply from outside the Three Big suppliers then they can redress the balance of power, restoring balance and securing better pricing terms for Chinese Steel mills. This is however a long-term proposition. The Second step in this process of increasing the bargaining power for China is through government investigation of monopoly behaviour by the big three. In the past week there have been two separate releases of statements about investigations of this kind. The first investigation is into the BHP Billiton – Rio Tinto joint venture Iron Ore mining operations in the Pilbara region of Australia. China clearly sees this as increasing the collective power of both BHP and Rio. This joint venture also came on the back of the collapse of the proposed increase in Chinalco’s investment into Rio Tinto in 2009. So there could also be some bad blood here, providing a political motive for an anti-monopoly investigation. The second anti-monopoly investigation muted only a few days ago is into the move towards short-term Iron Ore pricing by the big three: Rio Tinto, BHP and Vale. These two muted investigations can be seen as politically motivated to ‘encourage’ the Big Three to be careful in how they structure their pricing contracts. The message? China is watching. China has always had a long-term outlook, and their approach to business, trade and investment is no different. The first step in securing new independent sources of Iron Ore is part of this long-term strategy, while the second step in suggesting the potential for anti-monopoly investigations is very much a short-term strategy to keep the Big three at the negotiation table. These two strategies can be interpreted as a discrete suggestion by the Chinese Government that the big miners should return to the negotiation table, and that an industry wide move to short-term pricing, will not be a sure thing, especially when it comes to China. It is all about attempting to redress the negotiating imbalance of power back in favour of the Iron Ore Buyers, and as a result Chinese Steel Mills. Only time will determine the success of these strategies. Traditionally, since the 1960’s Iron Ore contract prices have been agreed with major steel mills in Europe, Asia and North America through year long benchmark pricing. The orginal reasoning for this year long pricing structure was to guarantee longer term contracts, at a time when the demand for iron ore was relatively low, and Japanese steel mills were searching for reliable and consistent supply. At this time, the negotiating power was definitely in the hands of the steel mills. As a result, they could demand a year long fixed price that would generally be below the iron ore spot price on metals markets. In the past thirty years the world has seen the greater emergence of large developing economies such as China, who have shown a ferocious appetite for iron ore and steel production. As the global economy grew, and the Chinese and broader Asian economies expanded rapidly, the demand for iron ore has equally grown to the extent where there is now a gulf of variation between the benchmark pricing system and the spot price of iron ore on metals markets. Why is this gulf of difference so important now? The power dependence relationship between the buyers and the sellers has changed. Where once the power was fundamentally held by the steel mills, the growth of steel mills in China has seen the competition for iron ore develop faster than supply can be increased. This increase in demand has been so rapid that the power now rests with the iron ore suppliers: Vale, Rio Tinto and BHP Billiton. Of course this power dependence shift has seen an increase in tension in iron ore price negotiations, characterised last year by the protracted and then suspended negotiations between Rio Tinto and the Chinese iron and Steel Association. The issue at hand with these protracted negotiations is that both sides have been playing hard ball, and because the suppliers now hold the balance of power, they have been able to hold out the longest without too much ill effect on their businesses. The 2008 benchmark price was high, to accommodate for the huge demand that was seen around the world just before the global economy imploded. In recent months we have seen the spot price of iron ore equally high, so the alternative pricing arangements for the steel mills are to stick with the 2008 price, or go to a high spot price until a benchmark price is agreed. You could say that this is a perfect negotiation situation for the iron ore suppliers. Steel still needs to be made, whether or not a benchmark price is agreed or not. This situation has now led to the recently announced move to short term pricing on iron ore contracts, by both Vale of Brazil, and BHP Billiton of Australia. Short term pricing will more closely reflect the spot price, and is likely to be set quarterly not yearly as with the benchmark system. A change like this has not been agreed by all steel mills at this stage, but while the spot price remains high, and demand for iron ore equally remains high, there will be little alternative for steel mills than to adopt this new system. Short term negotiations do have its advantages for both steel mills and iron ore suppliers. It allows for regular adjustments to meet new economic environments whether high or low demand. At the same time, more than likely maintaining a short term price below the spot price for iron ore, which preserves the cost advantage to major steel mills. The question that will be asked by steel mills is whether this short term pricing system will overly favour the iron ore suppliers during negotiations? The balance of power has definitely shifted to the iron ore suppliers, but ultimately the answer to that question will only be known in the long term. More importantly, some of the heat may now come out of the traditionally complex and protracted iron ore price negotiations.